The first five books of the Bible are the foundation of the rest of the Scriptures. In the Hebrew Bible, Genesis through Deuteronomy form one book, called the Pentateuch (i.e. five books). The Pentateuch was meant to be read as a whole, with each of its parts interpreting and building upon each other. There is so much allusion, quotation, and intertextual reference to the Pentateuch throughout the rest of the Bible that a close reading and continual study of the Pentateuch is essential in understanding the rest of written revelation. You cannot understand the NT without the OT, and you cannot understand the OT without the Pentateuch. 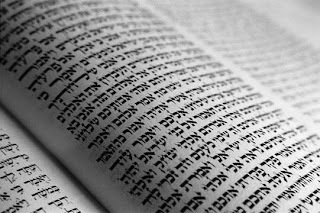 When the Old Testament speaks of the Law of Moses, it is speaking of the Pentateuch. Though often neglected by today's Christians, the OT and NT writers assumed that their readers were intimately familiar with the contents of this book. Indeed, we are told to “meditate on it day and night” (Cf. Josh 1:8). After thinking about these things, I’m convicted about my ignorance sometimes of this book’s content and message. Therefore, I’ve decided to read through the Pentateuch at a regular and consistent rate. I hope to become intimately acquainted with its characters and profoundly shaped by its narrative structure. However hopelessly idealistic and absurd that sounds, I provide the plan that I’m following in hopes that others will join me in this desperate attempt to know the Savior and Scripture more fully through a close reading of the Pentateuch. There are 187 chapters in the Pentateuch, and at an average of about 7 chapters a day, you can read it in 27 days. This allows you to complete the book in a month’s time, with a few missed or half days. If you could do this at least 3 or 4 times a year, I think your understanding of Scripture and of the person of Jesus Christ will deepen immensely. If you've actually made it this far in the post, and are interested in the exciting theology, structure, and content of the Pentateuch, John Sailhamer's Pentateuch as Narrative is an excellent place to begin.